Take advantage of this opportunity to win an 11” MacBook Air and one of ten epic bundles, with $20,048 worth of top-quality resources. 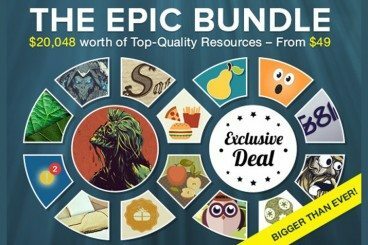 Ten lucky winners will be chosen from the list of participants and each one of them will win a free copy of the epic bundle. One of the ten winners will also take home an 11” MacBook Air!